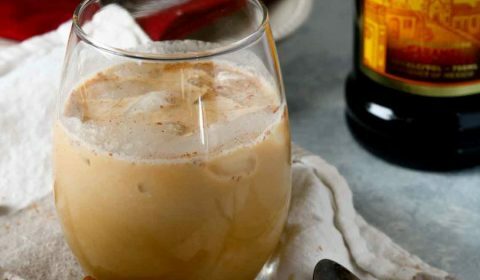 This Pumpkin Spice White Russian is dairy free, using canned coconut milk, I mean you can’t go wrong here, right?? This week is Thanksgiving and I’m bringing this bonus drink for all you cooking warriors! Sip on one of these while you manage the crazed Thanksgiving kitchen and you’ll be relaxed and carefree (okay, maybe not, but close). 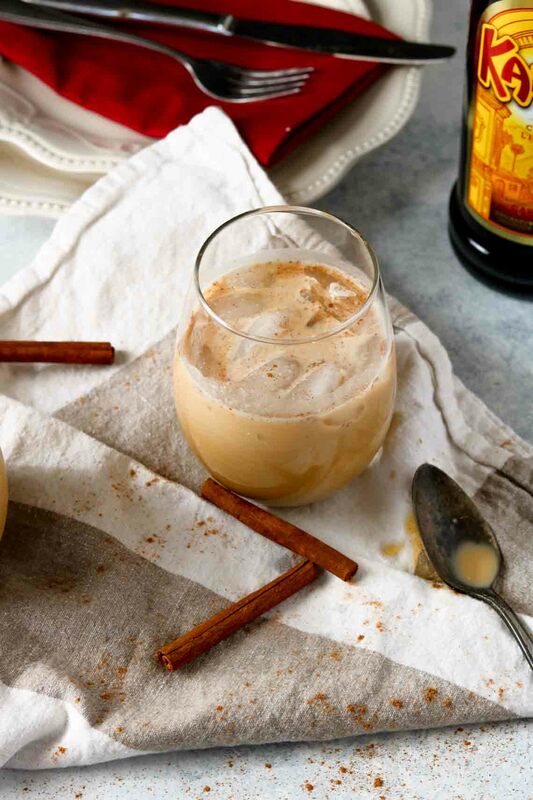 But seriously, this Pumpkin Spice White Russian could technically be considered Paleo friendly because it is dairy free (wink, wink), and it’s made with natural ingredients including coconut milk and organic pumpkin puree. I’ve always liked White Russians, mostly because they’re like drinking an adult milkshake. Creating this dairy-free version plus adding a fall twist with the pumpkin spice makes it that much more enjoyable. It’s smooth, creamy, and warms you from the inside. 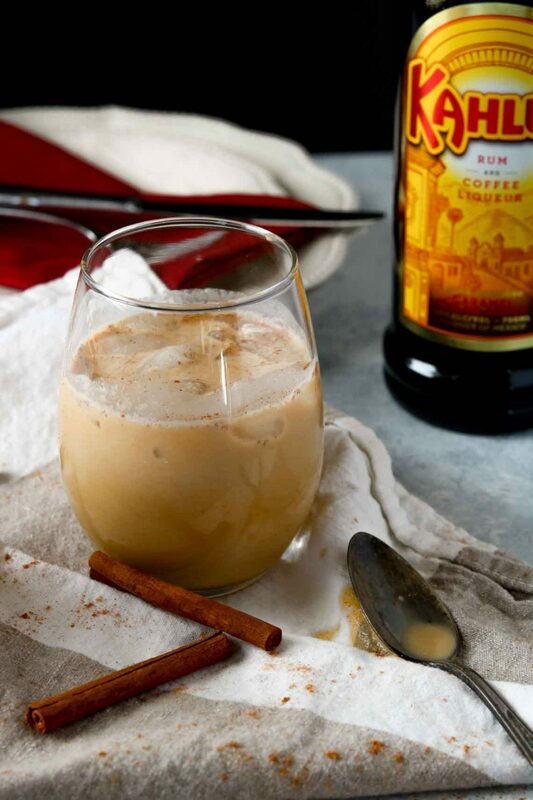 The perfect cold weather drink to sip on. They’re also super simple to mix up, check out the video below and see how quick and easy these Pumpkin Spice White Russians are to make. So here’s a toast to all of my fellow Thanksgiving kitchen warriors! 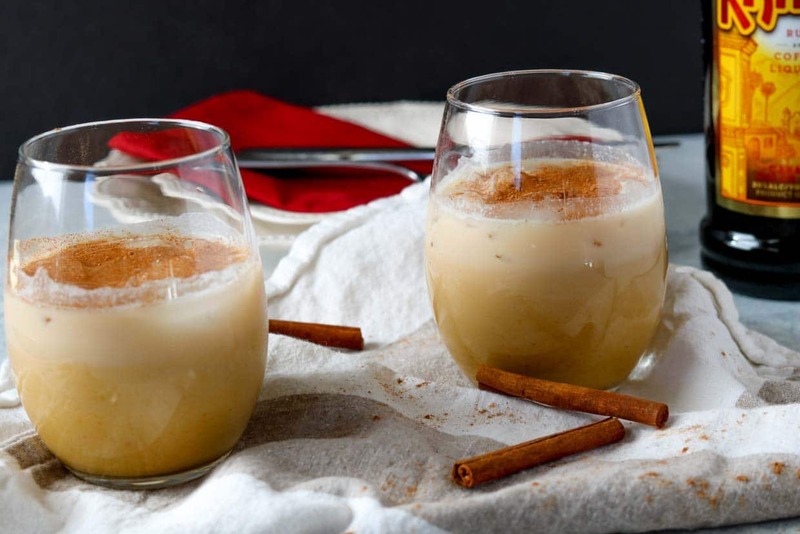 Enjoy this Pumpkin Spice White Russian while you fix your fantastic Thanksgiving dinner! Cheers! Mix all ingredients except for the pumpkin pie spice and mix well. Add ice, stir again, then sprinkle with pumpkin pie spice and serve cold.